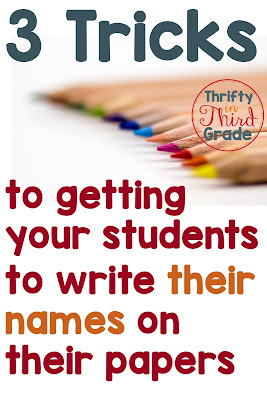 I'm here with a quick blog post today talking to you about getting your students to write their names on their papers! There's nothing worse than grading papers with no names. 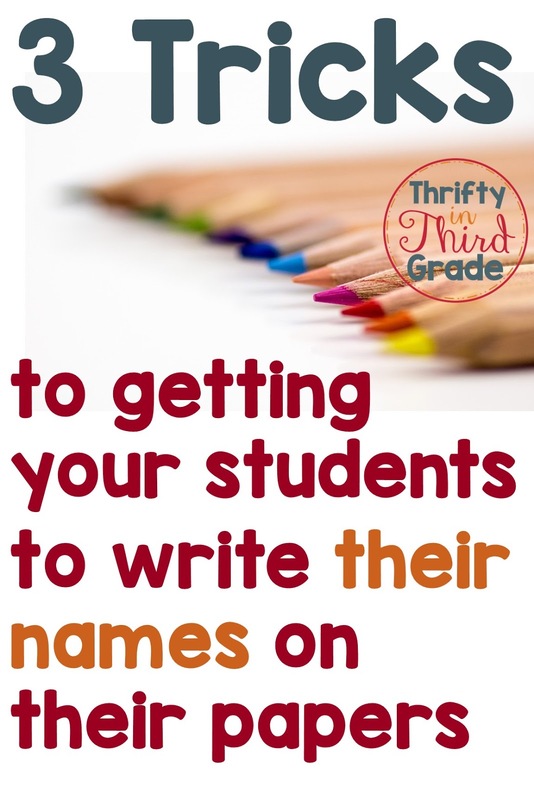 Although teachers are handwriting analysts and can usually determine who forgot to write their name, it can be really hard to get students to remember to do it! I've got a couple tricks for you. 1. When I pass out papers to my entire class, one trick I use is this little chant. While I am passing out the papers I say, "The first thing we do is always the same..." Then, my students reply, "We pick up a pencil and write down our name." Once they have written their names, I have them hold their pencil in the air. Once I see everyone's pencils in the air, I let them begin working. The key is having that action step after writing their name. If you just say the chant, some kids will chant it and then immediately start working instead of actually writing their name. 2. Another trick is to have students use a highlighter and highlight their name when they turn papers in. 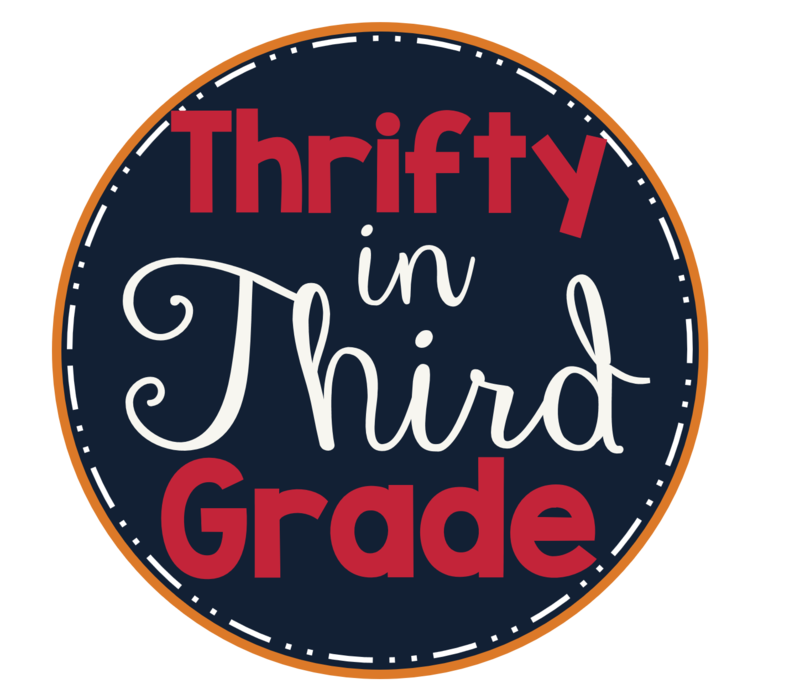 I have found that students usually forget to write their names on their homework, so I keep a little cup with highlighters by my homework collection tray and when they turn their homework in in the morning, they do a highlighter swipe across their name. 3. 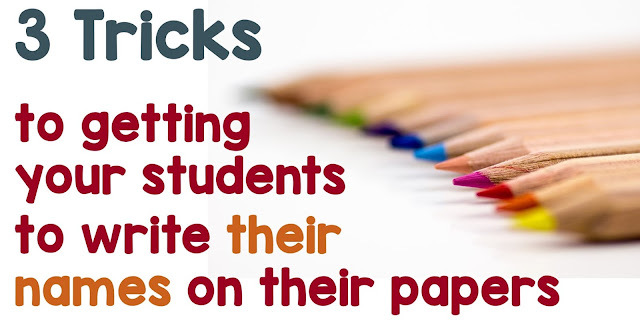 If you are passing papers out to your students, you can pass them out face down and have your students write their names on the back. Although you'd have to flip over to see who the paper belonged to while you are grading, its better than no name at all. And a lot of times I have found that students write their name a second time on the front of the paper where it belongs. Hope these tips help! Use the pin below to save this post for later!